Haley: Do you have a favorite ballpark and why? Is there a ballpark where you feel you always play well other than Yankees Stadium? Curtis: I like the Anaheim Angles Stadium because it has good weather to play in and the playing surface is well taken care of, making it a nice place to play ball. I also enjoy the Rally Monkey because he is fun to watch but as a player it means that the Angels are doing well. Other stadiums that I like to play in are Mariners Safeco Field and of course at home in Chicago at US Cellular Field and Wrigley. Haley: Since I am going to be in Chicago, who has the best Pizza in Chicago? Who in New York? Do you like Deep Dish or Thin Crust Pizza? 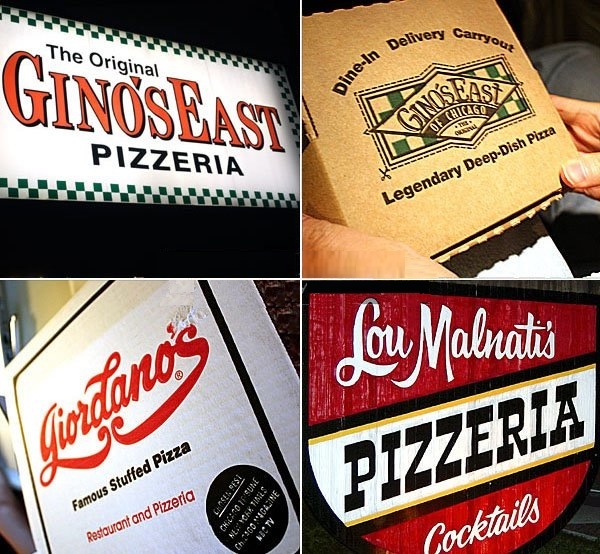 Curtis: My favorite Pizzeria’s in Chicago are Lou Malnati’s, Giordanos and Gino’s and in New York Artichoke Basille’s. Sometimes I like Dominos thin crust pizza, because I like my crust crunchy. If I am really hungry I will order deep dish. Haley: Coney Island Hot Dogs or Nathan’s Hot Dogs? Haley: What is your favorite meal? Curtis: I really love Thanksgiving dinner because you get to eat a little bit of everything and you can go back over and over for more helpings. Haley: My little brother is a fan of WWE, I heard you are as well. Who are some of you favorite wrestlers of today? Curtis: Of course I like CM Punk because he is a great wrestler and from Chicago. Jon Cena is another favorite. I also like the Diva’s because they work hard and are as good as the guys. Haley: Do you have any brothers or sisters? Curtis: I have an older half sister, Monica. Haley: In your book All You Can Be: Dream It, Draw It, Become It, you share the lessons that you learned growing up, what is one lesson you would tell other kid readers if they haven’t read the book? Curtis: The selection of friends, good and bad, positive or negative and the people you surround yourself with, will shape your whole life. 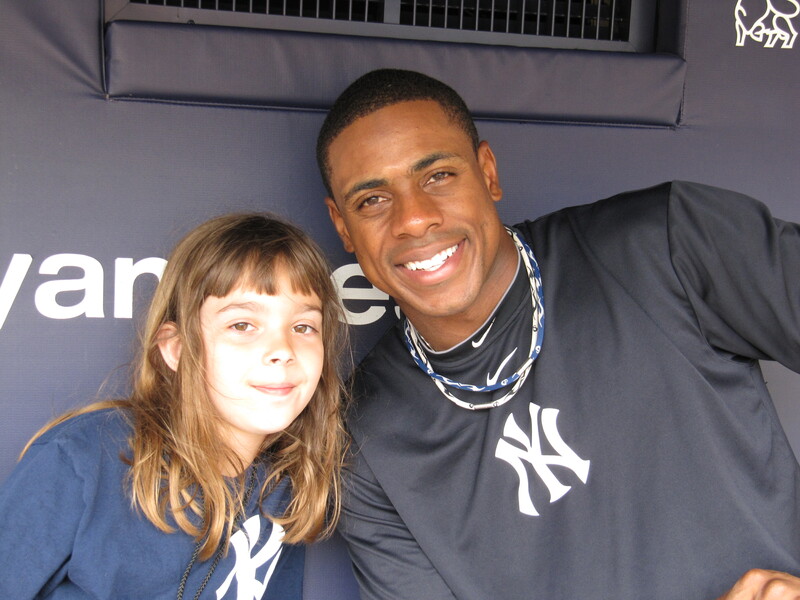 Haley: I also know you are an ambassador for MLB and have traveled to England, Italy, South Africa, China, and New Zealand is there any place you would really like to go and represent MLB? Curtis: I have never been to South America so that would be amazing. I would also like to go to Japan and Australia, those would be on my top 3 list. Haley: Why did you choose the #28 in Detroit and #14 in New York? Curtis: I was given the #28 in college, which was great because the numbers 2 and 8 are my favorite numbers, so it was both of them together. 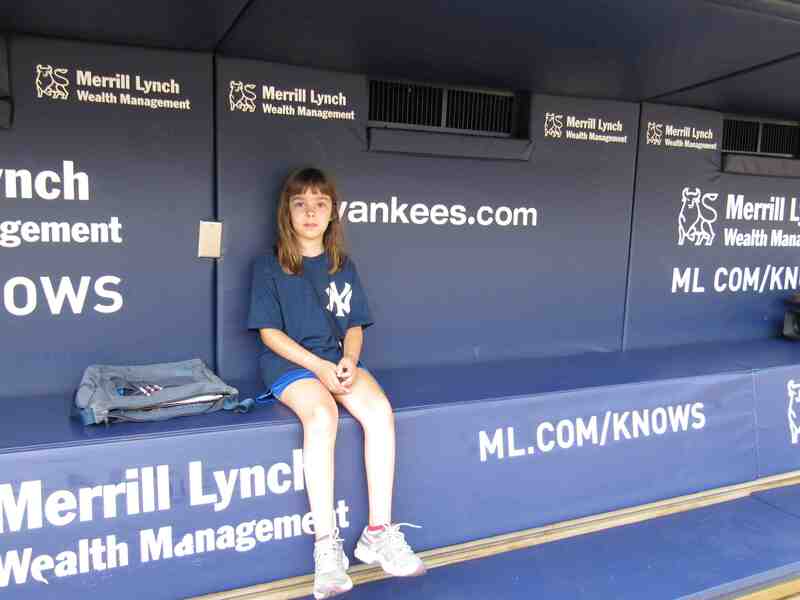 When I became a Yankee Joe Girardi was #28 so I chose #14 because that was my number from high school. Haley: I get to go to a lot of Yankees games and have noticed that you have two rituals can you to explain them? First when you step up to the plate you tap it with the bat from left to right then the top, why? Curtis: No particular reason I guess it is just a habit. Haley: When you are leading off from first and the pitcher makes a move you always walk around first base same way every time, why? Curtis: Because I don’t want to get picked off or called out. Haley: Do you have any other rituals or superstitions? Curtis: I only chew sugar free bubble gum, “Do you like gum?” make sure you take a hand full when you leave the dug out. Haley: What is it like in the Dug Out before and after a game? Curtis: It is a fun place filled with energy and lots of handshakes. We are always meeting people before games. After the game it depends if we won or lost. If we win everyone is happy and celebrating and if we lost we need to move on to the next game. Haley: When you are on the road do you share rooms with your teammates? Curtis: In the majors we get our own rooms. In the minors we share rooms, I used to share with Ryan Raburn, Joel Zumaya and David Espinosa. Haley: AJ Burnett has created a celebration for a walk off win, a pie in the face. Have you ever gotten pied? Haley: Who is the biggest practical joker you have ever been on a team with? Have you ever been the victim of a practical joke? Curtis: Brandon Inge on the Tigers will do funny pranks, silly ones and even some gross ones. We had a little battle going when I played for Detroit. Once I opened his car and filled it with paper and construction tape making it a big mess inside the car and out. Jorge Posada is a real joker as well. Haley: In 2007 you became just one of four players in MLB history to record 20 doubles, 20 triples, 20 home runs & 20 stolen bases in a single season, what are some of your other accomplishments you are proud of? Curtis: Graduating from University of Illinois-Chicago and that I am 1 of only 37 players with college degrees. Making it to the 2006 World Series. Haley: Do you have any other favorite sports besides Baseball? Curtis: I like basketball, especially college ball. I also like hockey, football and bowling and I used to run cross-country. Haley: What’s your favorite team? Curtis: The Kansas City Jay Hawks. Haley: Who would you consider your closest friends on the Yankees? 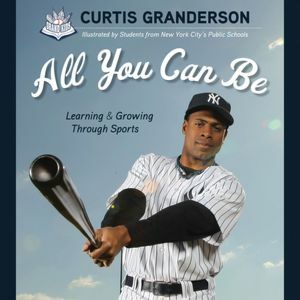 Curtis: Of course I have special bond with my fellow outfielders Nick Swisher and Brett Gardner. But I also like to hang out with CC Sabathia, AJ Burnett and Russell Martin we go out to dinner and movies together.